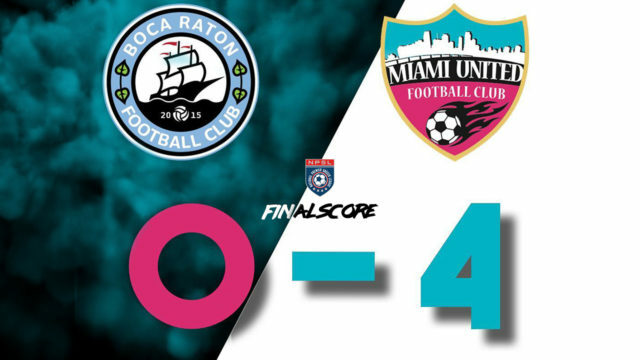 Miami United traveled on ‘Cinco de Mayo‘ to Deerfield Beach where they faced Boca Raton FC and definitely had a party. Between complains, brawls and unorganized soccer Miami were able to come victorious as Granitto (once again) and Gorobsov scored 4 goals. Three of these goals came through set pieces and three of these goals were scored by no other than Nicolas Gorobsov. Miami United will start their US Open Cup 2018 stint on Wednesday, May 9th as they will face the debutants FC Kendall on a local rivalry match.